CerTest Calprotectin one step combo card test is a coloured chromatographic immunoassay for the simultaneous semi-quantitative detection of human calprotectin (hCp) in stool samples, to the following cut-off values: A: 50 µg/g faeces and B: 200 µg/g faeces. CerTest Calprotectin 50 + 200 combo card test offers a simple, a highly sensitive and non-invasive screening assay to determine inflammatory disease, to monitor treatment response in these patients, to predict risk of relapse and to monitor small bowel transplantation or graft rejection. Calprotectin is a neutrophil cytosolic protein with antimicrobial properties, which is present at increased concentration in stool samples during bowel inflammation. The stability of the protein to degradation keeps it stable in faeces for up to 7 days at room temperature, making it an ideal analyte. 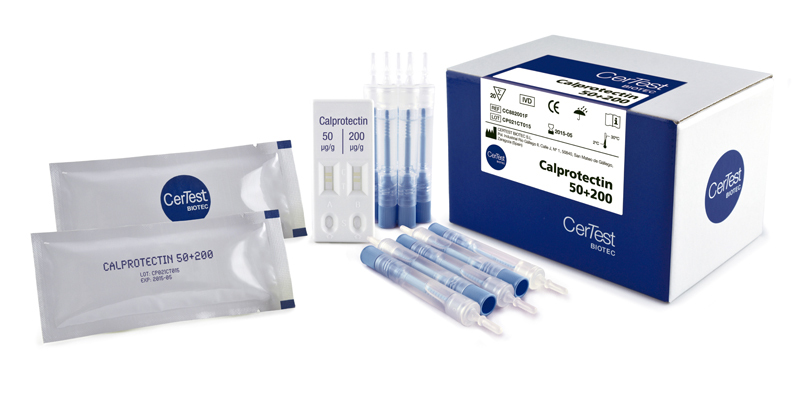 Calprotectin is released by activation of leukocytes, giving increased levels in plasma, cerebral spinal fluid, synovial fluid, urine or stools as a consequence of disease in the relevant organ(s). Calprotectin inhibits zinc-dependent enzyme systems, as a result kills microbes and induces apoptosis in normal and cancer cells. In the presence of calcium, calprotectin is a remarkably resistant to protelolytic degradation, and so is stable in stools kept at room temperature for 7 days.  This is a non-invasive marker of intestinal inflammation (for example in Ulcerative Colitis (UC) and Crohn’s Disease (CD)).